This has been quite the year in children's literature--and I say that in a good way. Some people are decrying social media, but I celebrate it. It is making a difference. Some say social media that questions books like A Fine Dessert is unfairly attacking the author and illustrator. Some say the creators of the book are being publicly shamed. Roger Sutton said that about the change made to Amazing Grace. represented in popular, classic, and award-winning books. When I first began illustrating children's books, I decided that I would not work on stories about slavery. I had many reasons, one being that I wanted to focus on contemporary stories relevant to young readers today. In all honesty, though, what I wasn't admitting to myself was that I was ashamed of the topic. I grew up in a small town in the Midwest in the 1970s and 1980s. At school, I was usually the only brown face in a sea of white. It seemed to me that whenever the topic of black history came up, it was always in relation to slavery, about how black people were once the property of white people--no more human than a horse or a wheelbarrow. Sometimes white kids snickered and made jokes about the topic. Sometimes, black kids did too. A wash of emotion floods over me each time I read Don's words. 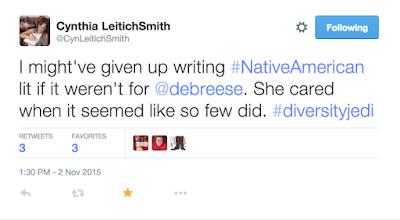 I've heard similar things from Native kids and teens, too. 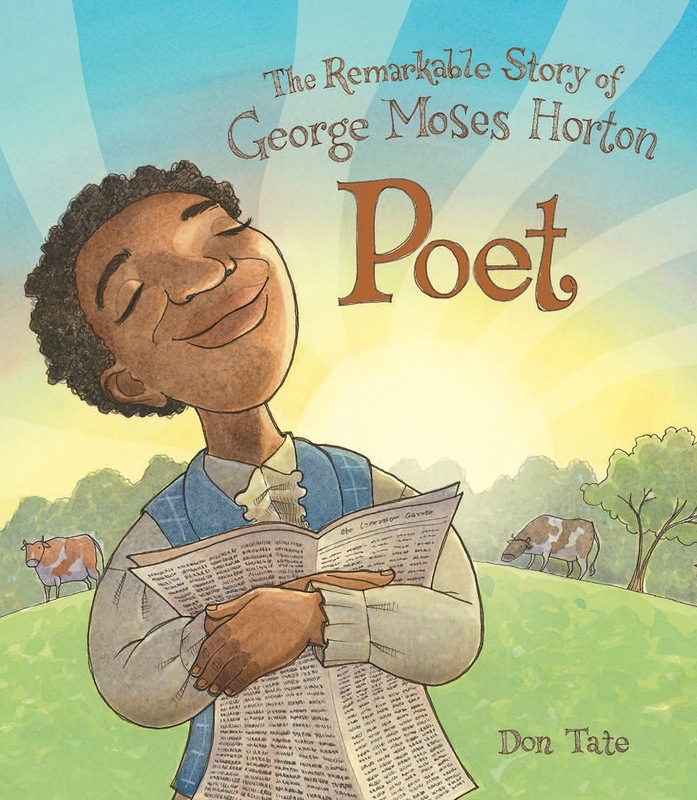 Don takes up the topic of slavery in Poet. But he does it with a full understanding of what it feels like to be a black child reading a book that depicts slavery. I have no doubt that Emily Jenkins and Sophie Blackall meant well when they created A Fine Dessert, but they and the community of people who worked with them on the book created it from within a space that doesn't have what Don has. The outcome, as most of us know, has caused an enormous discussion on social media. I have empathy for Jenkins and Blackall, but as my larger text above makes clear, my empathy is with children. Because of social media, Jenkins, Blackall, and anyone who is following this discussion, have heard from people they don't normally hear from. People who aren't in their community. In this case, African American parents who are stunned with the depiction of slavery in A Fine Dessert. Some of the response has been blistering in its anger. Jenkins has heard them, and subsequently, apologized. Thus far, Blackall has not. She says she's heard them, but what does it mean when you hear someone--with reason or with fury--tell you that you've hurt them, but all you do is rebut what they say? I don't know what to call that response. She and people who are empathizing with her are decrying social media, but I celebrate what it is doing right now in children's literature. Because of it, I have a blog that people read. They link to it. They reference it. They assign it. They share it. The outcome? 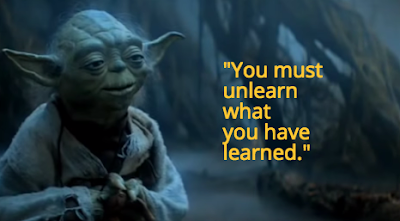 People write to tell me what they're learning. Because of social media, we can all watch a video of a panel discussion that took place last weekend. A discussion--I think--that has never happened before at a conference. I'm asking my colleagues who research children's literature. Nobody recalls one like this before. Sean Qualls, Sophie Blackall, and Daniel Jose Older spoke on a panel titled "Lens of Diversity: It is Not All in What You See" at the New York City School Library System's 26th annual conference. I'm studying the video and will have more to say about it later, but for now, watch it yourself. I'll be back with a post about it later. For now I've got to finish preparing a talk I'll be giving for Chicago Public Library tomorrow. I was shaken to the core as I watched the video. Shaken by the denial of Qualls and Blackall, and shaken by the honesty of Older. He is using social media to effect change. Change is happening. I know that change is happening because of the email I get from gatekeepers. ...the quality of the books written by blacks in the 70's was so outstanding that I actually thought we would revolutionize the industry, bringing to it a quality and dimension that would raise the standard for all children's books. Wrong. Wrong. Wrong. No sooner had all the pieces conducive to the publishing of more books on the black experience come together than they started falling apart. This time round, I think things will not fall apart. Social media is driving change in children's literature. And so, I celebrate it. Doesn't anyone find it odd that so many of the books Debby Reese and her followers attack for "micro and macro aggressions" are on the prize lists for best books of the year? [...] Funny how much time we YA writers spend in schools talking to kids about the corrosive effects of bullying, and then to discover the worst bullies of all in our own community. The strongest backlash, by the way, is coming from editors. Who tell me they are backing away from publishing books featuring diversity characters/stories in order to avoid attacks for "micro and macro aggression." That's a result, then. Your professional friend and valued colleague has accused me repeatedly in public of being a racist and an enemy of diversity. I can wait very patiently for an apology on that score. I was surprised by her comment. I have not accused her of being a racist. Nor have I called her an enemy of diversity. I was curious, however, to know why she thinks I did. The extraordinary woman was the one who proved I was a racist by the use of the word 'squaw' in one of my books -- by an 11 year old English child. I had to look it up to realise it is sometimes (not always) considered insulting -- particularly if you're mainly reading to be insulted. I've written 600,000 or so words in my career and that's what she's taken out of it. Impressive. I stopped reading. The enjoyment, for me, was over. I set the book aside. I didn't blog or tweet about her use of "squaw." I just stopped reading it. God, twitter makes me laugh. 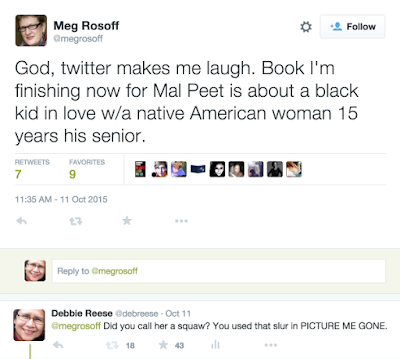 Book I'm finishing now for Mal Peet is about a black kid in love w/a native American woman 15 years his senior. I was angry at her for what she said on Edi's page, especially because Edi's post was about Large Fears by Myles E. Johnson and Kendrick Daye, a book that is about a queer black boy. Edi Campbell, Myles E. Johnson, and Kendrick Daye are three people trying to do some good in the world, shining bright lights on populations that are misrepresented and underrepresented in children's literature. She didn't reply, but as her comment above indicates, she did not know the word is "sometimes (not always) considered insulting." As she said, she's written 600,000 words in her career, and she's impressed that out of all those words, I'm choosing to focus on one of those 600,000 words. She is right. I am focusing on that one word as symbolic of the ongoing misrepresentation of Native peoples in children's and young adult literature. But I did not call her racist there, or anywhere. 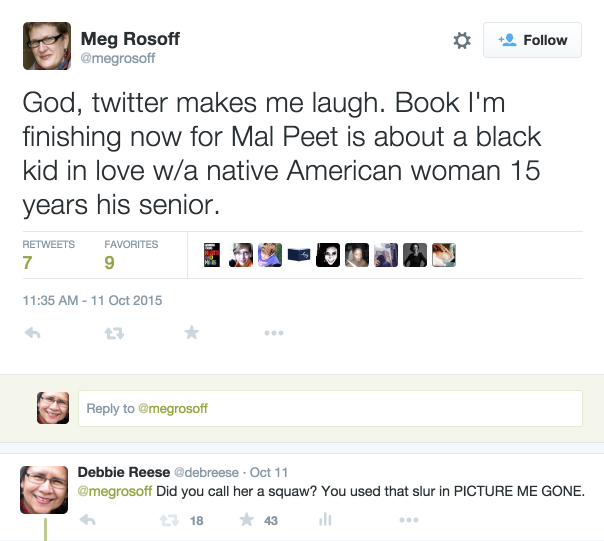 My focus is on Meg Rosoff's response to being questioned. Her response about the word admits that she didn't know it is problematic. There is a way to respond to ones ignorance that can move children's literature forward in its depictions of those who have been omitted and misrepresented for hundreds of years, but Rosoff's dismissal and subsequent comments disparaging me are not the way to move forward. Her response stands in sharp contrast to the response Emily Jenkins posted yesterday, in response to criticisms about the depictions of slavery in A Fine Dessert, and it stands in sharp contrast to Sarah McCarry's response to my question about her use of "totem pole" in All Our Pretty Songs. Some people are rising to defend Rosoff. Some are defending Jenkins and Blackall, too. Some of them know Rosoff, Jenkins, and Blackall personally, and feel--as they should--empathy for people who they feel fondly towards. Teachers and librarians are forgetting that their primary responsibility as educators is not to an author or illustrator they like, but to the children in their classrooms. As parents, we trust you to do right by our children and what they learn from you. What you give them is something they will carry with them as they grow up. The larger point of what I'm saying is that people of marginalized populations are using social media to ask questions. We are using social media to shine lights on problems that our children grandchildren are confronted with everyday, in and out of the classroom. The country is growing more diverse with each minute. What you do in the classroom matters to the future of our country. That cliched bumper sticker that teachers touch the future is more than a cliche. It is a fact. Expand how you think about that future. We're all here, talking to you, and hoping you'll pick up the lights we shine, too, and do right by the children you teach. Rosoff has said a good many disparaging things about me that I'm ignoring. This one, I will not ignore. Like millions of people, I love Star Wars. 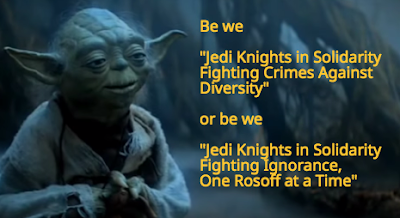 But Rosoff is wrong in calling those of us who point out stereotyping, bias, and misrepresentations "stormtroopers." She's trying to cast us as evil for what we do. She is equating us with Nazi stormtroopers. We're not bad guys. As Rene Saldana said, he thinks of me as a Jedi Knight. Lot of people said they want to make t-shirts with Rosoff's phrase on them, but we say who we are. *I said "fighting ignorance" because Rosoff said she looked it up and did not know the word "squaw" is, quoting her: "sometimes (not always) considered insulting." The #diversityjedi hashtag took off yesterday afternoon and evening! If you're in Twitter, take a look!